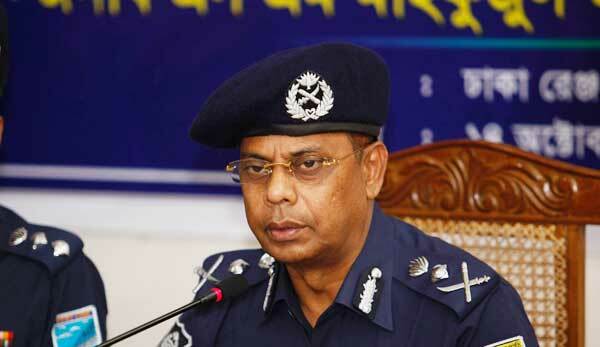 Noting that realisation of ransom after kidnapping is not a new phenomenon, Inspector General of Police (IGP) AKM Shahidul Hoque on Friday said they were working to rescue those remain missing. “This (kidnapping) has been going on since the British era. This is happening now too. Keep trust on us. We’re working to rescue the missing people,” he said. After attending a programme at Chandpur Police Lines, the IGP was replying to queries from reporters on the progress in rescuing those who were kidnapped recently. Police unearth the mystery behind such incidents after investigation, he said, adding that some incidents somehow remain unresolved. “Police are working sincerely not only to prevent abduction, but also all types of criminal activities,” he said. The police chief also said they were working to rescue the missing people, including journalist Utpal Das. “Mystery behind the incidents will be divulged once they’re rescued,” he said. He claimed that the present law- and-order situation is good than before. Shahidul said the activities of Bangladesh police were lauded in the recent conference of the Commonwealth Parliamentary Association (CPA) where over 500 delegates from different countries took part. The IGP inaugurated newly constructed gate of the police lines and laid the foundation stone of its mosque.